UK ministers published a full six-page advice on the draft Brexit deal by Attorney General Geoffrey Cox on Wednesday, a day after the House of Commons found the government in contempt for only providing a summary of the full legal statement. 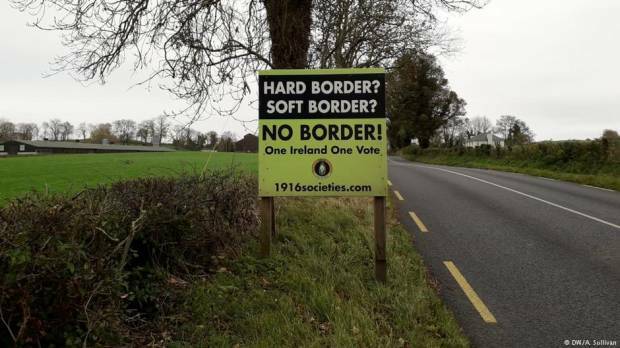 In his advice, Cox warned that the deal's backstop for Northern Ireland, a fallback arrangement designed to keep an open border between the British territory and EU member Republic of Ireland, risked a stalemate and protracted rounds of negotiations with the European Union. "Despite statements that it is not intended to be permanent … in international law the protocol would endure indefinitely until a superseding agreement took its place," Cox explained. This, he added, was because the UK does not have the right to withdraw from the mechanism unilaterally. The word "indefinitely" did not appear in Cox's summary given to the Commons on Monday. "In the absence of a right of termination, there is a legal risk that the UK might become subject to protracted and repeated rounds of negotiations," Cox wrote. In the event trade talks between the UK and the EU broke down, the backstop would endure, he added. Prime Minister Theresa May had claimed there was no difference between the summary and the full, six-page advice. Some opposition lawmakers accused her on Wednesday of misleading the assembly. Lawmakers had already disputed the backstop plan when it was revealed as part of the deal in November, with members of the ultra-conservative Democratic Unionist Party (DUP), a Northern Irish party that helps prop up May's Conservative government, among the plan's fiercest critics. 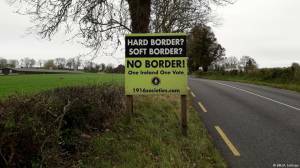 Deputy DUP leader Nigel Dodds said Cox's "devastating" advice proved that the backstop could result in Northern Ireland being treated as a separate trading and regulatory area from the rest of the UK. "Goods passing from GB to NI will be subject to a declaration process," he said. "GB is essentially treated as a third country by NI for goods passing from GB into NI." "Totally unacceptable and economically mad," Dodds said. May told lawmakers she recognized concerns about the backstop and vowed to "listen" to colleagues to consider a way out of the dispute. It was already unlikely that lawmakers would approve May's deal at a vote scheduled for December 11. But the release of the advice — coming after the government suffered three separate legislative defeats before a parliamentary Brexit debate began on Tuesday — could further erode support for the deal. Meanwhile, results from a YouGov opinion poll on Wednesday showed a widening gap in public opinion about leaving the EU. The survey found just 38 percent of respondents thought EU withdrawal was a good idea while 49 percent believed it was the wrong decision. Support for May's Brexit deal came in at 27 percent in the poll, with 45 percent saying they opposed the accord. May's handling of the negotiations also came in for some heavy criticism: just 19 percent of respondents said they thought the government was doing a good job, while 68 percent said the government was negotiating the UK's withdrawal badly. The poll confirmed previous surveys which showed support for Brexit continuing to fall. In the 2016 referendum, the Leave vote registered 52 percent, with 48 percent for Remain. Calls for a second referendum have since grown.